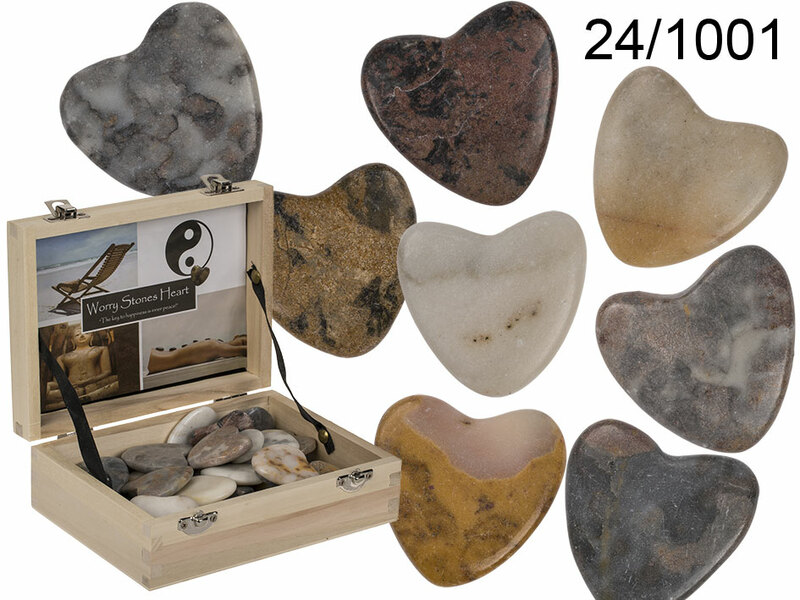 Natural stone hearts available in various colours. Assorted. When buying 36 stones, the wooden box is free of charge. Minimum order quantity: 1 stone.